This image shows the first page of the annual report for 1923-1924. 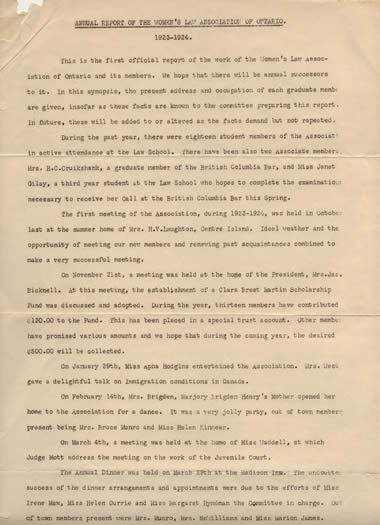 It was reported that the first meeting of that year was held in October 1923 at the home of Mrs. H.V. Laughton on Centre Island.